Which brands of food do you stock? Purina One, IAMS, Hills Science Plan, Whiskas, Go Cat. Felix, Hi Life, Lilly’s kitchen. Most brands are stocked in many varieties, including kitten, older cat, senstitive, light etc. We will also purchase a specific brand if not already stocked. We also stock cat treats and will give these to your cat as requested. If your cat is on a Prescribed diet, you will need to bring this with you. Can we visit before booking? We encourage you to visit and take a look around our facilitites, giving you an opportunity to ask any questions you might have. 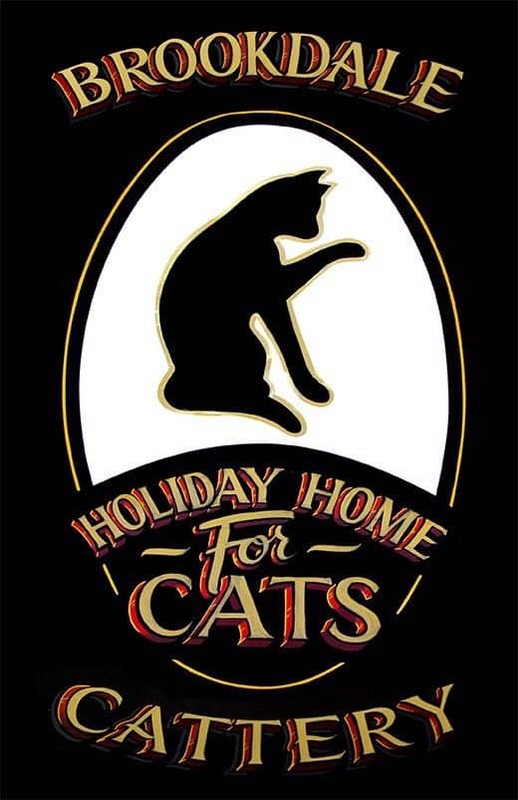 All we need you to bring is your cat in a safe cat carrier, along with their vaccination certificates. We provide everything else but we do find if the have a bed or a blanket from home it just helps them settle a little bit quicker. Is the outside run open at all times? Yes once we know they have settled with us we can open the cat flap and they can come and go as they please. Is there always someone on site? Yes myself and my family live onsite and we always reside at the address. What are you bank holiday opening hours? We open 10-12 on bank holidays excluding Christmas Day, Boxing Day and New Year’s Day when we remain closed for collect and drop off but still offer the sale level of car for our guests. Yes we do, there is no extra charge for this service. Our cats have never stayed in a cattery, will they be alright? Unfortunately, there’s just no place like home, but when you can’t be there to look after your cat(s),A cattery is the best option. Don’t worry, cats settle into the cattery environment fairly quickly. It’s often more stressful for their owners, as the meowing in the car on the way can be very upsetting. It is quite normal for cats to cry in a vehicle and to not like being couped up in their carry cage. If you bring something from home with your scent on like a pillow case, T-Shirt or a blanket they like to sleep on, this will help them settle in faster. All cats must have a current vaccination certificate and this must be presented upon arrival. If kept up to date your cat will require a booster once per year. The first time your cat has vaccinations it’s a course of two injections and we require this to be completed two weeks before your cat comes to stay with us. I have a fussy cat – will it eat when it is in the cattery? since the cats are housed separately, we can monitor whether your cat is eating or not and the amount being eaten. We have a very wide variety of food available from biscuits, wet food, and we also use cooked chicken. We’re happy for you to settle your bill when you collect your cat at the end of their stay, we accept, cash, cheque or bank transfer. Will I get updates whilst I’m away? Yes we post pictures daily to our face book page.